There’s been plenty of talk lately about the tech and business side of electric motorcycles, but less about their riding dynamics and how some of their unique characteristics change the experience of motorcycling. I spent several months this year hopping back and forth between gas and electric. One particular stint with Zero’s FXS ZF7.2 challenged my precepts of two-wheel performance. After three weeks, I felt faster on the electric supermoto than any gas motorcycle I’d ridden — even though many of those petrol machines were quicker on paper with more ponies and a higher top end. 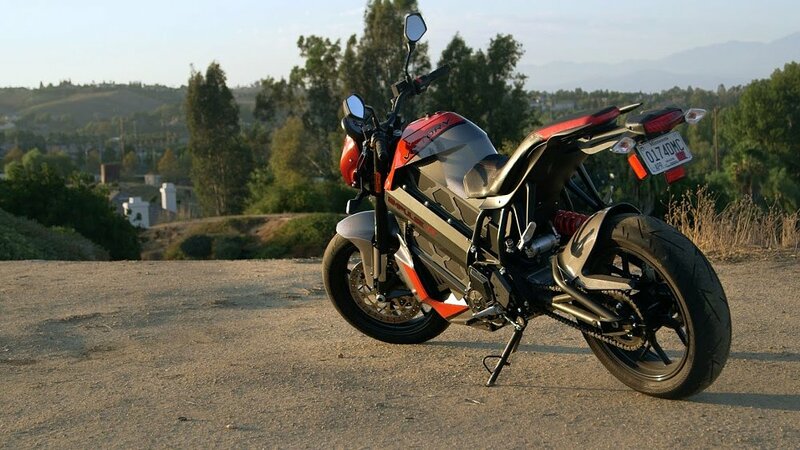 How was that possible on a 46-horsepower e-moto with a top speed of 85 mph? I’ve thought plenty hard on that and will attempt to explain. Zero’s 293-pound FXS ZF7.2 electric supermoto only makes 46 horsepower, but it produces 78 foot-pounds of torque, or as much as Ducati’s Panigale 959, which weighs 100 pounds more. Zero photo. To start, the FXS wasn’t my first e-moto ride. Earlier in the year, I tested Energica’s 150 mph Ego and Eva SS9, Zero’s SR, and Alta’s RedShift MXR. All this saddle time definitely turned me on to the merits of electric motorcycles — namely their torque — but those rides were limited to less than a day on each bike. 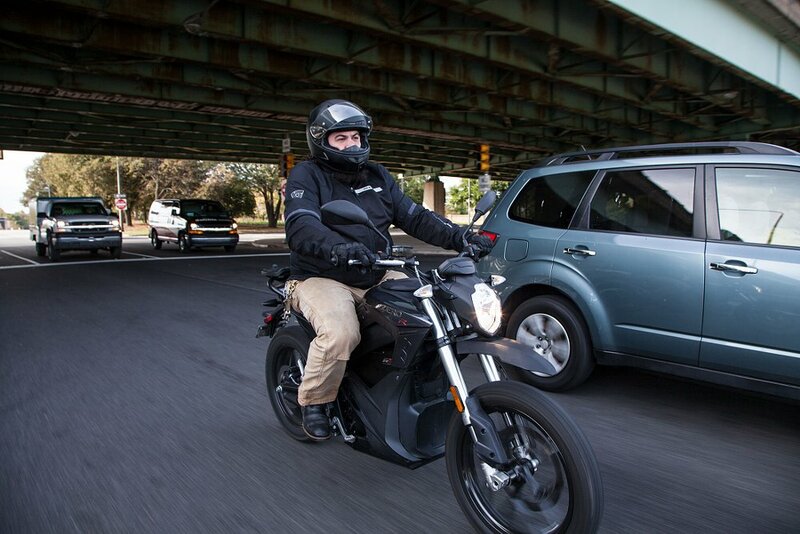 With Zero’s FXS I took the e-moto home from NYC for an extended, month-long demo. I jumped on the EV directly from two weeks on a Ducati Multistrada 1260S. I gotta admit, at first the 293-pound supermoto, with its 56-inch wheelbase and 32-inch seat height, felt a bit like an electric toy compared to Duc’s 158-horsepower, 500-pound Multistrada. I took the FXS home for a month of all sorts of riding — city, highway, rural — around Connecticut and New York City and Westchester County, New York. The brain of the motorcycle is Zero's proprietary Main Bike Board (MBB) processor, and it makes the Zero like no internal-combustion vehicle. From the dash or a Bluetooth-connected smartphone, the MBB makes it possible to digitally program multiple facets of the FXS’s performance. One can pick default settings around preset riding modes Sport and Eco, or customize top speed, torque, and regenerative braking. Zero motorcycles have a computer processor to adjust performance. From the dash or your smartphone, you can choose default settings for preset riding modes or customize settings such as top speed, torque, and regenerative braking. Zero photo. That last one is important. Regen braking, for short, is basically a setting for how much the magnet motor slows the rear wheel when you let off the throttle. It is set up primarily to allow the rear-wheel’s natural motion to recharge the battery. But it also comes into play on performance, as well as range. With regen braking you can actually get in and out of corners using only throttle adjustments, versus the throttle and brakes. The net result is less movement required by you as a rider and less overall mechanical disruption to the bike’s momentum. And, of course, all Zero motorcycles (and almost all others) have only one gear, so there's no clutch or shifting. You simply twist and go. Think of a ride down a twisty road where on a typical motorcycle you're using throttle, brakes, clutch and shift lever. On the Zero FXS, a large part of the time, the only input needed from the rider is throttle. That's a difference that changes the riding experience. The nimble handling and the direct connection between throttle and power to the pavement make the Zero FXS a speedy daily rider. Photo by Jake Bright. During my FXS test, the distinct characteristic I got more and more used to was its unique EV power delivery. Though the FXS produces only 46 horsepower, it creates 78 foot-pounds of torque. That is on par with Ducati’s Panigale 959, but in a platform that’s 100 pounds lighter. 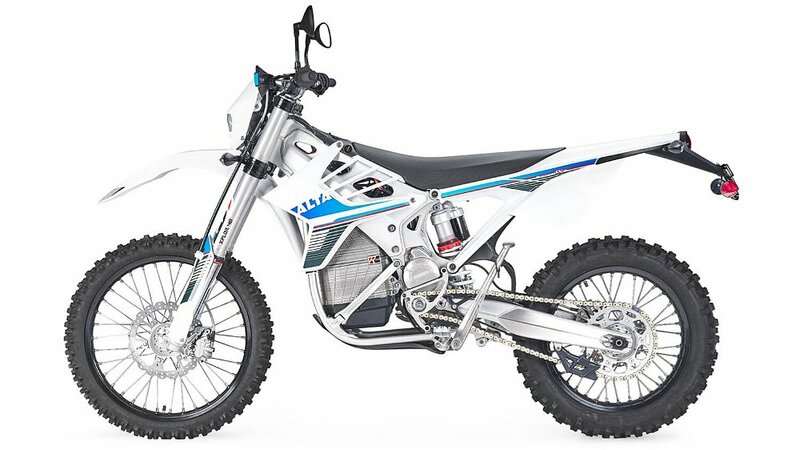 More importantly, due to the basic qualities of an electric motor, the torque on the FXS comes alive immediately and is sustained to produce lightning-like acceleration. It’s tough to explain until you straddle one and feel it for yourself. Imagine being on a fast, gas-powered bike in the peak of the engine's torque curve in second gear. But instead of upshifting to stay at that torque peak, you just rev it out, sans interruption, with the same pull into higher speeds. In this vein, riding Zero’s FXS illuminated how much more was going on to create previously unnoticed delays in the power delivery of even the best dialed-in gas bikes. From gas to acceleration, there’s carburation, internal combustion, pistons moving, valves opening and closing, the clutch, shifting gears — basically a lot of parts between a movement of your wrist and the application of torque to the asphalt. The Zero FXS' internal magnet motor. The relatively simple powertrain in an electric motorcycle, compared to the hundreds of moving parts in an internal-combustion engine, gives a feeling of a direct connection between throttle hand and power to the rear tire. Zero photo. Conversely, on an e-moto from throttle to power to the rear wheel there’s so much less that needs to happen mechanically. There’s mostly a ton of torque and no interruptions all the way through the acceleration process. By week three with Zero’s nimble FXS, the bike’s balance points, braking points, turning characteristics, and regenerative performance qualities became intuitive. I’d also internalized the supermoto’s super immediate, continuous, and tractor-like power delivery. When it all synced up, I suddenly felt faster on the FXS than anything else I’d been on. And when I say fast, I’m not speaking so much of measured mph speed. It was the ability to get anywhere I wanted to go — in any daily riding application — super, super quickly. From straight-line acceleration, to passing on the highway, to lateral lane changes in traffic, or navigating rural road twisties, I suddenly felt like a hornet on Zero’s electric FXS. Pick a direction, point it, twist it, and zip forward became the riding experience. As e-motos evolve — and more riders get on them — I look forward to better readouts on their unique riding dynamics. I think there’s a lot more to explore on how these EVs may change our riding techniques and our concept of fast on two wheels. Maybe a California Superbike School e-specific class by 2020? That would be one big electric rush.